Everyone is familiar with this style of box, but did you know we can supply these to any size pizza you can make? We currently offer a pizza style box as small as 7″ up to a whopping 20″ box. These can be printed with a company logo or message with up to 2 colours. Quantities are dependent on the box size. Pizza boxes can also be used for much more than delivering pizza! Our pizza style boxes are often used as mailer packs, subscription boxes and can encapsulate gifts. Our boxes can also incorporate our other secondary packaging, via small or large slots within the pizza boxes, allowing you to fit a wide variety of product sizes into the box. 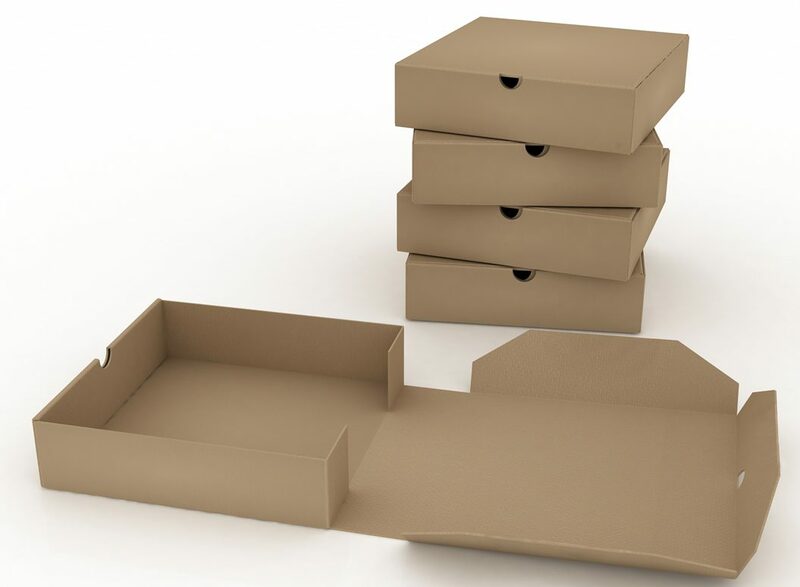 The pizza style boxes that we manufacture are delivered and supplied flat-packed for easier storage and transportation. The boxes are very easy to assemble from being flat-packed. So why not give us a call and see how we can help you advertise your brand? These boxes are delivered and supplied flat-packed – allowing for easier storage and can be assembled in seconds. Please note: ATL Dunbar aren’t food grade certified, and so the boxes we manufacture are not for direct food contact.